For further information you can download the educational resources below. This booklet is part of a series helping children with single ventricle heart conditions to make the most of their education, and covers Early years foundation stage and Key Stage 1. Much of the information is also applicable to pre-school and childcare settings. This booklet is part of a series helping children with single ventricle heart conditions to make the most of their education, and concentrates on the middle years in school. This booklet has been created to help children and parents to plan the move into secondary school and to build a partnership between school and family. Every child with a single ventricle heart condition will have added needs within the school environment, although each individual’s needs will be different. This booklet has been created to support parents/carers and young people to achieve a greater understanding of their needs within the school environment and to support the creation of an individual Healthcare Plan or Management Plan to be used in school a safe learning experience. This booklet has been created for parents of children with complex heart conditions to improve their understanding of the support available to enable their children to reach their full potential in the school/education environment. In September 2014 the process for supporting children with added needs in school was changed. Gradually over the next three years School Action, School Action Plus and Statementing will be replaced with school-based support and/or and Education, Health and Care plan (EHC plan). This booklet explains the process in more detail. 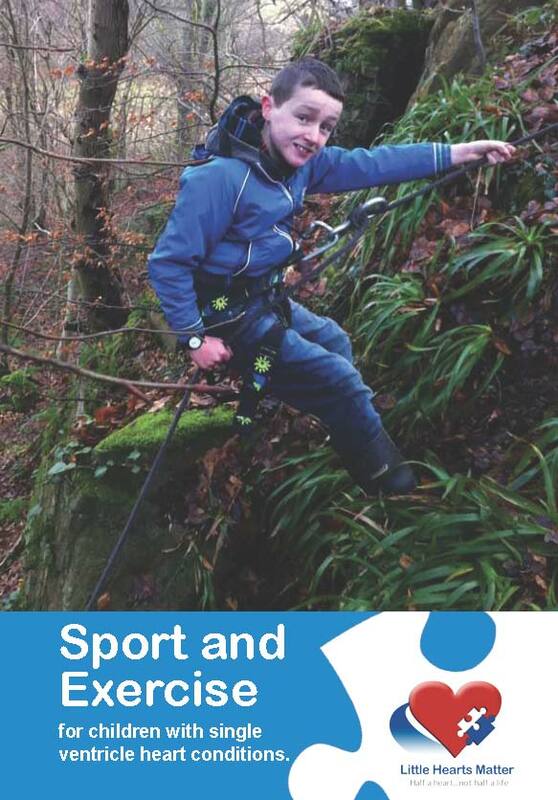 Our Sport and exercise booklet is written primarily for parents, but it will also be useful for young people with single ventricle heart conditions and teachers. It aims to give overall guidance for leisure and school sports and exercise, and includes a chart which can be used by individual families to give an up-to-date personalised picture of what is safe for them. It aims to help families understand then principle that everyone should exercise within safe limits. This booklet aims to equip parents and children with an understanding of why anticoagulation is needed, how to manage it on a day-to-day basis and what the associated risks are. Living with half a heart can mean you face many different challenges. One of which is not having as much energy as your friends. This is because your body finds it harder to produce the energy it needs to do simple day to day activities. So to help you understand your energy levels in an easier way, Little Hearts Matter have introduced The Spoon Theory. This is a great tool for you to plan your day and make sure you have enough energy to complete activities like going out with your friends or completing homework. It is also a useful way to explain to your friends, teachers and parents how you get more out of breath or tired.